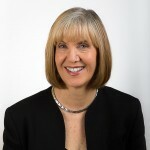 Sally Kleyn is a co-founder of The Company Coach. The focus of Sally’s coaching is the facilitation of change at individual, team and organisational levels. Clients say that her greatest strength is her ability to balance the elements of support and challenge that are required for change to occur. She works as a performance coach, team coach (working with Boards and senior teams) and change consultant for a wide range of clients in diverse sectors including financial, IT, media, oil, retail, public sector and education in the United States and throughout Europe. To date, she has logged hundreds of hours of individual and team coaching, helping clients achieve their goals and solve the problems they haven’t been able to solve. Peter Kleyn is a co-founder of The Company Coach. He specialises in one-to-one coaching of CEOs, senior managers and sales and marketing staff in particular. He focuses his attention where introducing advanced management techniques and strong communication skills are pivotal to the future success of the organisation. He has extensive experience at senior management level and is also employed as Chairman and Board member of other successful organisations. His invaluable business and exceptional people skills equip him with a unique ability to resolve a wide variety of key corporate issues. As a qualified business coach, he applies International Coaching Federation standards relating to ethics, business standards and to achieving goals, his experience and people skills give him the ability to ensure clients achieve goals far beyond their own expectations. His in depth knowledge of psychometric and skills assessment tools bring yet another valuable added dimension to his coaching. Roy was trained as a Behavioral Scientist; he embraces a wide variety of issues including cultural change, customer care, communications, team-building, recruitment and succession planning for major companies. His extensive experience covers recruitment up to and including board level appointments, the application of a range of reliable psychometric evaluation tools for personality assessment, team-building and succession planning exercises. He is often called upon to lecture on these subject areas and is a renowned speaker at events around the country.